With its bright coloured laminate shell and stylish chrome legs, the Polo provides a contemporary seating solution for dining and café areas. Coordinating dining tables are also available. 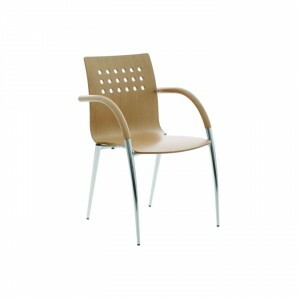 Please note the Polo Upright Stacking Armless Chair is supplied with Natural Beech finish as standard. 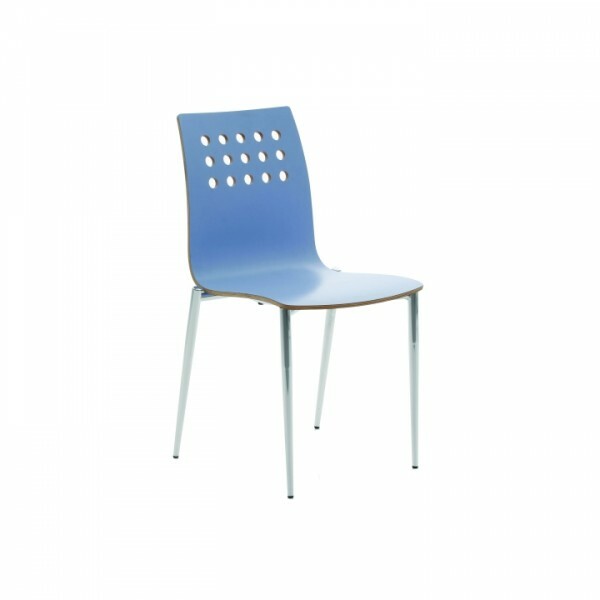 To order coloured laminate seats please specify POLOK1111L along with the coloured laminate of your choice. Please note that minimum order quantities apply to coloured finishes.